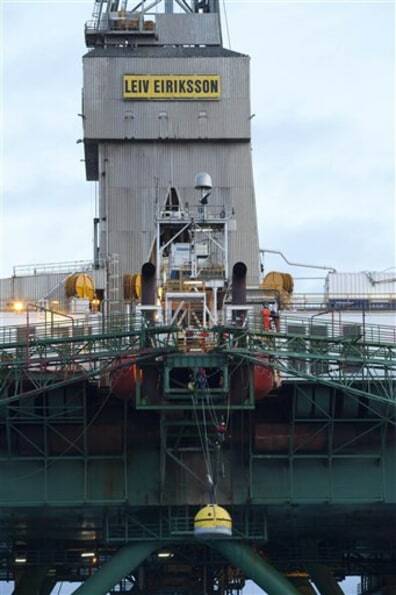 Greenpeace activists scale the underside of the 53,000 ton Leiv Eiriksson oil rig on Sunday in an attempt to stop a Scottish oil company from starting deepwater drilling in the arctic waters. The environmental group said the activists scaled the Cairn Energy rig early Sunday and are now hanging under it in a pod. It said the group has enough food and water to stay there for 10 days. Cairn earlier this month won permission to drill up to seven oil exploration wells off the Arctic island's west coast.